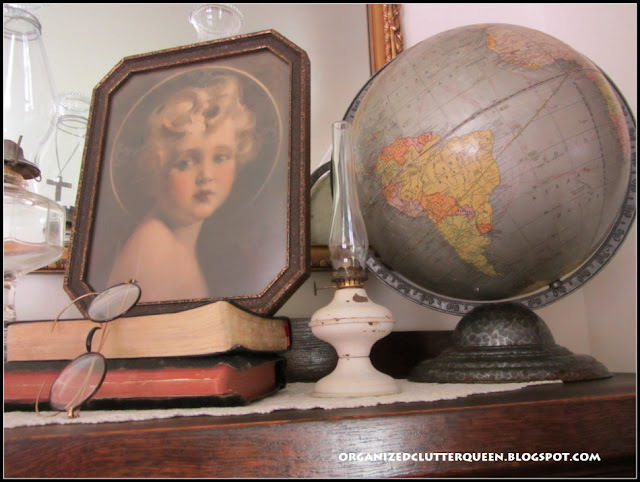 I am still lovin' my Cram's Terrestrial globe find from last month! 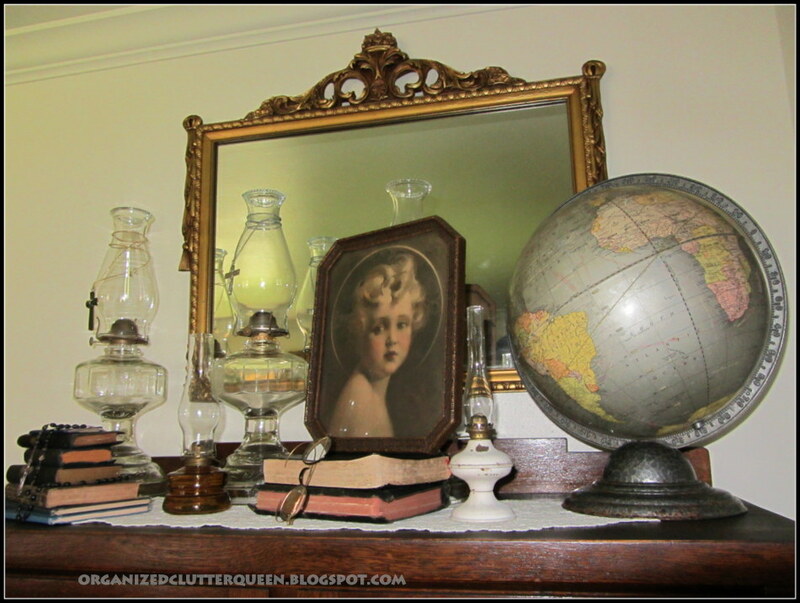 I recently set up a vignette with my vintage typewriter and the globe called "Miss Abraham's Desk Vignette". The only thing I disliked about this vignette is that the old globe was sitting directly in front of a window with a southern exposure. I couldn't let the globe get sun damage. 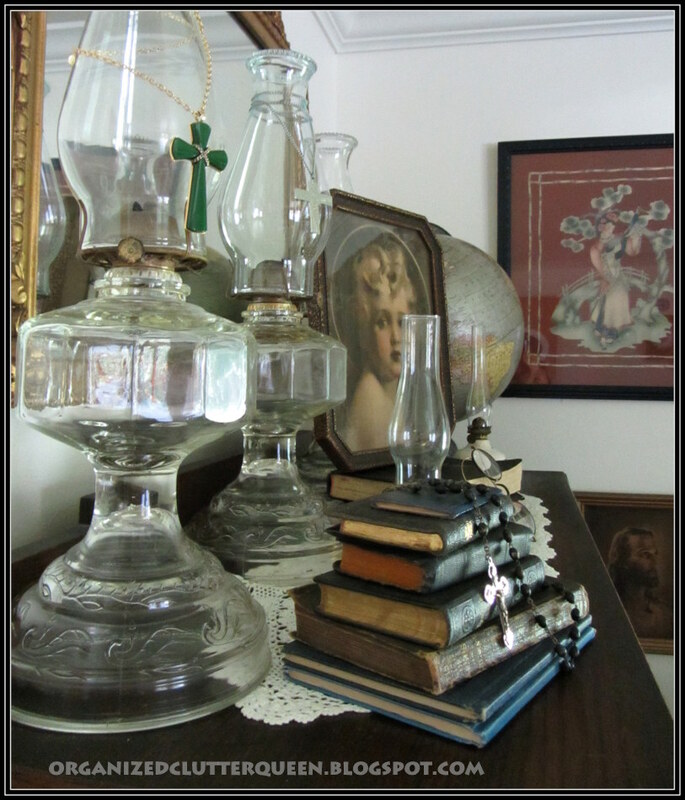 I moved the globe to my living room and got the idea that the globe could be worked in with my small Bible collection and oil lamps on top of the china cabinet. I also added my vintage print of Charles Bosserson Chambers' depiction of a young Jesus, called "The Light of the World". My Mom sent over a few more small Bibles for my collection that had belonged to family members. Also this little one that she picked up in one of her treasure hunts. 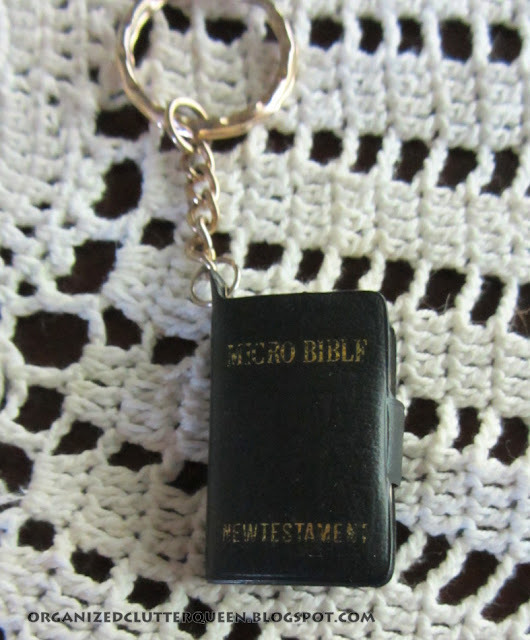 A Micro Bible keychain! It's the New Testament. I couldn't find a date on it. I think I will leave my globe in my living room for a while! 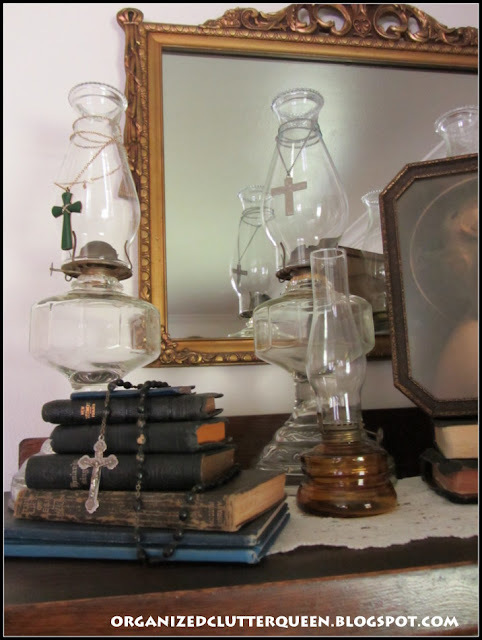 Thy Word is a Lamp unto my feet and a light onto my path.....I love putting lamps with Bibles, and the globe is perfect....Go Ye into all the World!! Lovely vignette! 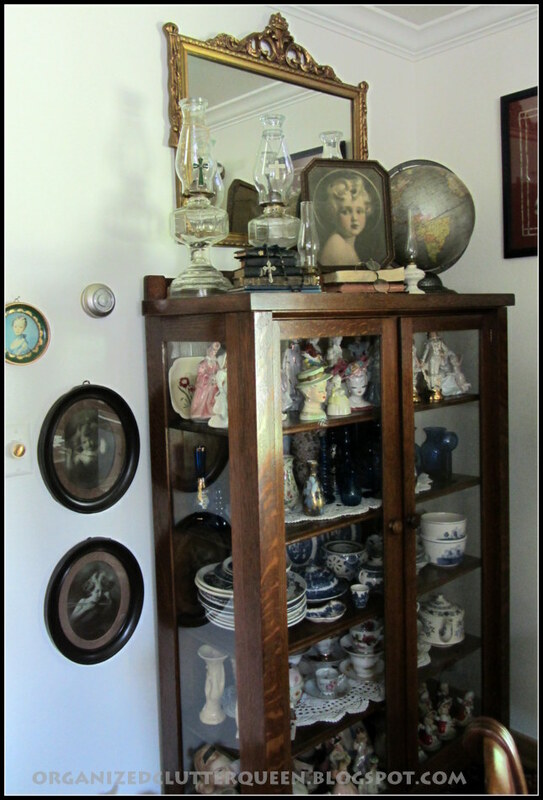 My mom has that same vintage print. So pretty! 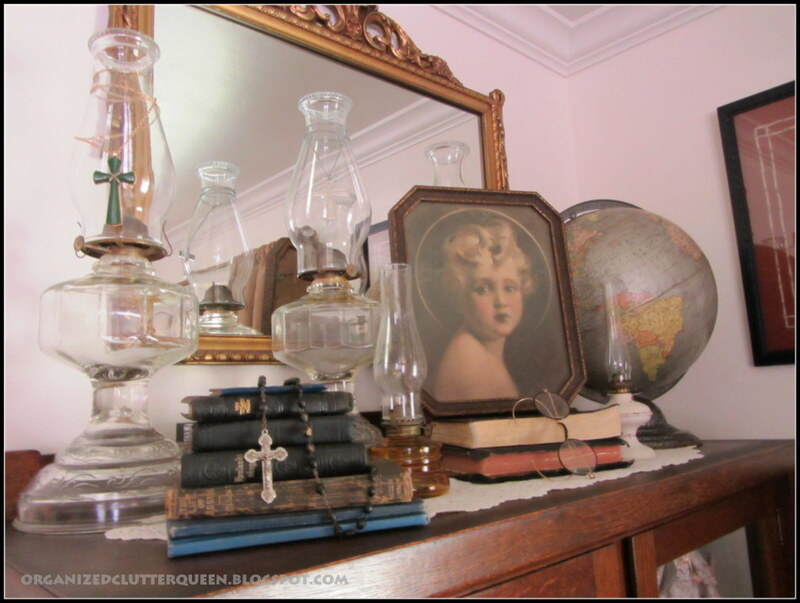 I could spend hours trying to arrange stuff on top of furniture before I feel it's "right". You did a great job on yur vignette! 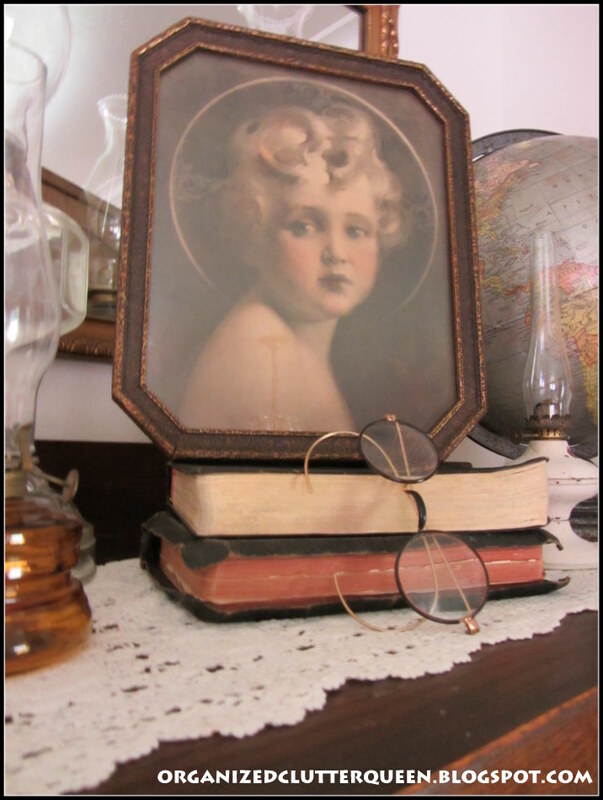 The is a beautiful arrangement, Carlene--I like the stacked books and the gorgeous gold mirror. It lovely, Carlene! Thanks for sharing your beautiful arrangment and vignettte at Potpourri Friday at 2805! Your vignette is so charming. 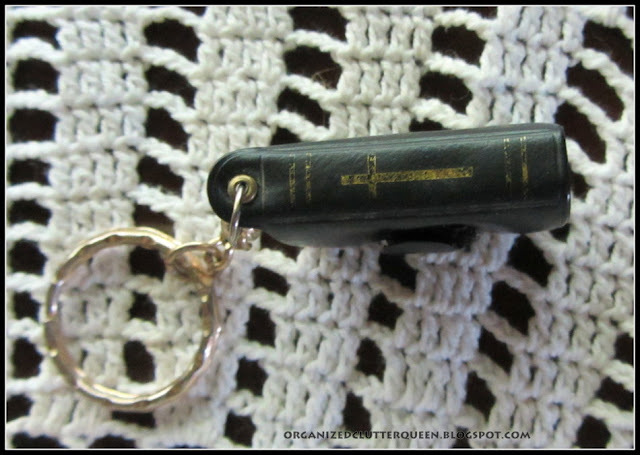 I love the rosary and the micro Bible, so sweet. Thanks so much for sharing. Found you at 2805. Your collection of Bibles is so special! 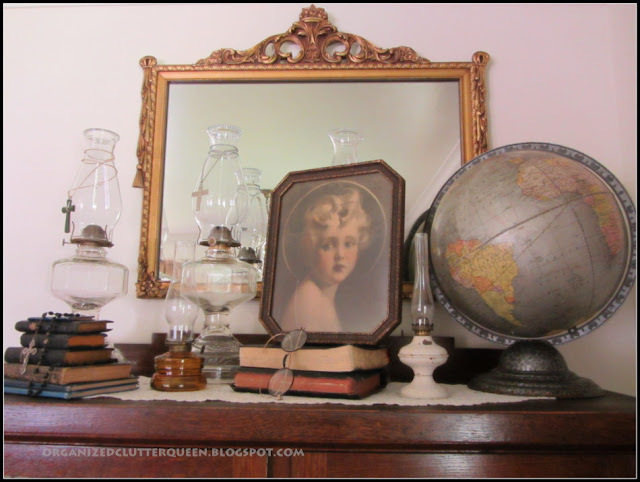 Love your vignette with your vintage goodies. Came over from Rustic Restoration. 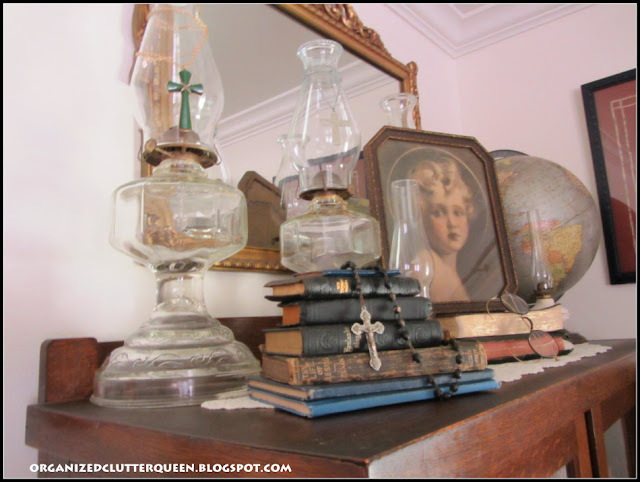 Love the vignette especially that boy Jesus print. 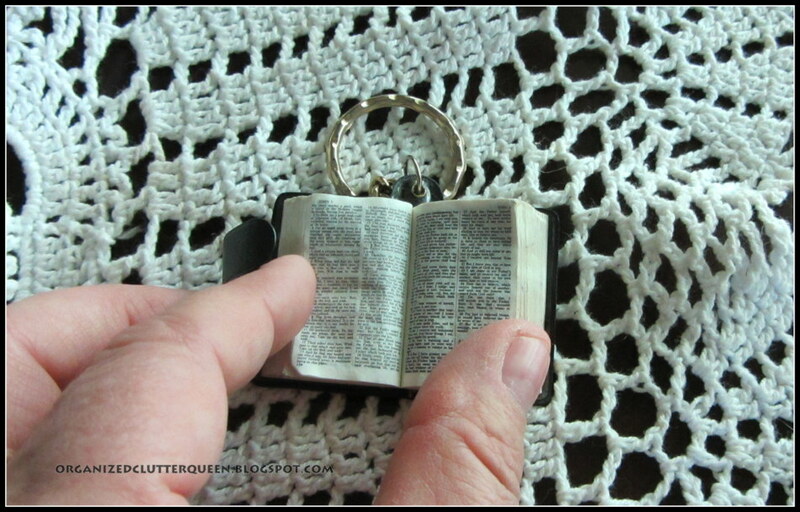 I received a tiny New Testament similar to yours in the mid-60's when I was baptized. Mine had a metal case it slid into. That vignette is beautiful and meaningful as well. 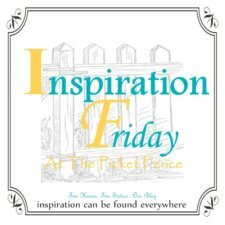 What an inspiration to all who see it! Noway! That micro Bible is amazing! 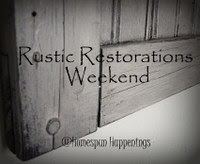 Your house looks like an Antique shop :) Thank you for linking this up to Rustic Restorations Weekend!